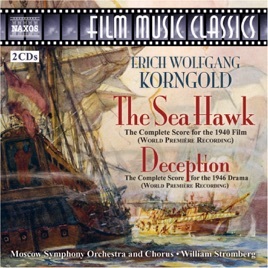 Korngold did it again for a Flynn movie, adding this beautiful, stirring score to his Captain Blood and The Adventures of Robin Hood works. I suggest buying all of them. Bravo! Korngold's life story is amazing. Watch the Special Edition (60th anniversary) of Robin Hood to discover why he said, "Robin Hood saved my life."